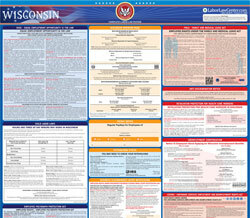 The Minimum Wage Rates is a minimum wage law poster by the Wisconsin Department Of Workforce Development. This is an optional poster, so while it is recommended that you post this if it is relevant to your employees, you are not required to by the Department Of Workforce Development. This optional poster, written in Spanish, describes what the minimum wage is for various occupations. It appears you don't have a PDF plugin for this browser. Please see the link below to download wisconsin-erd-9247-s-p.pdf. calendario consecutivos a partir de la fecha en que comenzó su empleo.